Truly innovative products solve meaningful problems. That doesn't mean they require a screen. In some cases apps that necessitate tap after tap or click after click – experiences relegated to a screen – simply aren’t faster or easier than the solutions they’re replacing. We need to consider how our software can be experienced beyond, or even without, an interface. To help show us what a world of screen-less software could look like, Golden Krishna, author of the best-selling book The Best Interface is No Interface, joined me on our podcast. Golden’s a design strategist at Google, where he’s tasked with shaping the future of Android. He previously worked in R&D innovation labs at Samsung, where he helped design their first wearables, and later at Zappos, where he explored new lines of business ranging from checkout systems to Zappos Airlines. When designing software it’s important to zoom out and look at the entire customer experience. When are they engaging with your product? Why? What are the triggers? What’s going on around them when they’re doing it? Embrace typical processes instead of screens. If the experience you’re creating takes people away from typical process, it might not be the most simple solution. The problem with conflating UX and UI design: it pushes designers to solve problems with screens, which isn’t always the best solution. 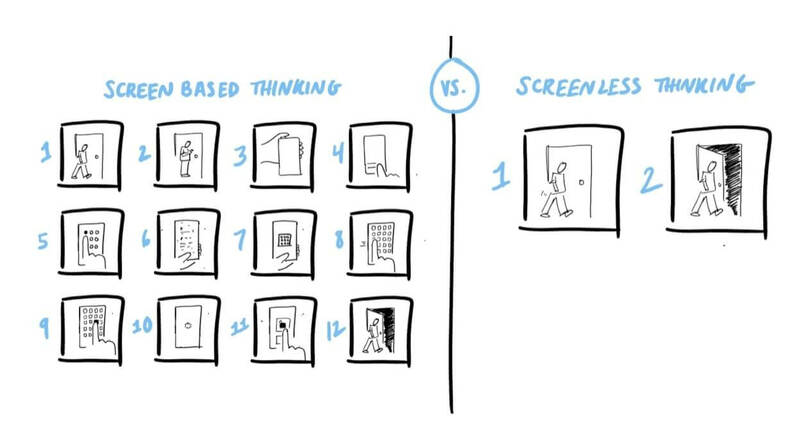 One of the best ways for startups to consider screenless design options early in the product-building process? Hire a data scientist as soon as possible. Voice UI may very well be the next great tool, but the problem today, as Golden sees it, is that voice provides a command line experience in an environment where users have human-interaction-level expectations. Adam Risman: Golden, welcome to the show. Can you give us a quick feel for your career trajectory and how you got to where you are today? Golden Krishna: My design career really started when I went to art school at CalArts. I always thought of art and design as this flakey, abstract thing that didn’t really mean a lot but was fun to do. When I was in school, I realized the value and the power of design. It’s an incredibly intense program, actually. I have friends who went to law school or became doctors, but I feel like I slept less than they did. School is a time in which you can get a lot better really quickly, because people really care about your growth. After I graduated from CalArts, I started working at Cooper, which is a design consultancy in San Francisco, started by Alan Cooper. At the time, I reported to Nick Myers, who’s now the Director of UX at Fitbit. I also did some work with Doug LeMoine, who’s now at Apple. It’s a fascinating story of how Doug came to be at Cooper. He used to work at the San Jose Tech Museum, and Alan Cooper was asked to speak at a donor’s dinner. Alan was talking about doing user research in the software world back in 1992, so a long time before a lot of other people. I mean, companies like Ideo and Frog have been doing user research, but at that time, they were focused more on industrial design, and less on software. So at this dinner there are big companies in the room like Adobe, Microsoft, etc. They’re the big donors of the Tech Museum. Alan’s booting up his Power Point presentation, and it just completely crashes. Alan first asked, “Hey, is anybody here from Microsoft?” A couple people raised their hands. Alan then stood on top of the table, pointed at them and said, “You should be ashamed of yourselves!” He was screaming at them. A lot of people talk about fighting for the users. Alan literally fought for users. He was always pushing things at the company. It was an awesome place to be. Designers are often getting brought into big companies right away (out of school). The nice thing about agencies is you’re in a designer haven. You get a taste of so many different kinds of projects. I always enjoyed the projects where we worked with companies on big-picture thinking, the things we could do next, and after working at Cooper for a little over three years I got an opportunity to work on an innovation lab at Samsung. At that lab, we worked on new products and services that could launch in the next 18-24 months. That was fun. Samsung’s a crazy environment. Incredibly internally competitive, and obviously externally competitive, too. They’re the kind of company that throws everything on the wall and sees what sticks – with the wall being in the marketplace. It’s utterly fascinating to see how a hardware company like Samsung has the success they have today. I went from that crazy culture, to what I think was the best culture I’ve ever been a part of, Zappos. I worked at Zappos Labs, which is another innovation team. I have so many positive things to say about the culture at Zappos. It was a really incredible environment, I got to spend a lot of time with the CEO, Tony Hsieh. We had weekly 1:1s at a certain point, which was awesome. I spent a few years there. Now I’m at Google, and I’m working on a long-term, similar kind of team, but within the product of Android. Google is huge, so it’s nice being inside one particular product there. What is the future of Android? That is exactly what my job is today. Adam: Samsung, Zappos and Google are all very different companies. How would you describe the design culture of each? And what have you taken from each of those as your career has progressed? Golden: Of all the cultures, I think Zappos is the best. Google culture is talked about a lot in positive ways, and I think it should be. But there are some things that happened really early on within Zappos. For example, the first interview that you have at Zappos is not a skills-based interview. I see this a lot when startups are recruiting and trying to find the best fits. They often fall back on things like, “Hey, show us your Dribble portfolio”, or all these nonsensical things that don’t actually amount to whether someone is going to be great. The very first interview at Zappos is about you as a person. They don’t even talk about your actual skillset. It’s, who are you? Why do you make the decisions that you make? When I was there we were looking for people who were easy to collaborate with. People who were optimistic and had a sense of problem solving, that would continue to go after things. We weren’t looking at their output right away. It was more about their character. And that first character interview is so rare. I’ve never heard of another company that does that. Thinking about me personally, I’ve always been excited about roles and opportunities where I have the ability to run in this open field, and have this chance to push the company forward, as well as work on my personal mission, which is to push the whole field forward. There’s a lot of talk in design about getting the right craft, or getting the right process down. All those things are really important, but the thing that drives me is trying to find opportunities where I can really push the company and the whole field forward. Going around to these sort of corporate innovation labs has become my niche, because I’ve been kind of trying to find opportunities where I can really take big chances. Some of my work will never be seen, and some of my work will ship in a short amount of time, but it’s hard to say what’s going to happen. I just go after what I think is the best thing for our customers. Adam: As you said, some of your projects over the years have shipped, while some, like Zappos Airlines, were totally exploratory. Most of our listeners work in software. You’ve designed digital products, and you’ve designed physical products. When it comes to the work you’ve done on the latter, what problem solving techniques or lessons have you learned that can be applied back to software? When we design software, you just see mockups in rectangles. Golden: When you work on hardware, or on a general service experience, which is a lot of what we did at Zappos, there’s a big zoom out that happens. Let’s say we’re designing a new TV at Samsung. When you make sketches for it, you sketch the TV in the living room, and you show people watching it. You sketch it in the kitchen, and you show what that’s like in the kitchen. When we design software, especially because most software is on phones today, you just see mockups in rectangles. You forget about the entire environment in which someone’s using it. A lot of startups are going after some small segments of a potential user base. Maybe they’ll make some app that’s great for accountants. But they won’t draw the accountant’s workspace or their real workflow. They’ll just show what it’s like to go from screen to screen in an app. That’s really common to see in people’s portfolios, at presentations and in slide decks. It’s, “Here’s a screen, here’s a screen, here’s a screen, here’s a screen. What do you guys think?” That can be good, but it’s also really nice to zoom out and look at the entire customer experience. I can’t say too much about the Zappos Airlines thing, but that was an incredible project that I got to work on directly with the CEO as we explored that opportunity. We did a lot of customer journey maps. That’s not a new phrase, but it’s so rarely done on a day-to-day basis, where you really see how someone works through a flow. If it’s somebody that’s on their phone, when are they looking at their phone? Why? What are the triggers? What’s going on around them when they’re doing it? Is this the kind of thing they’re using when they’re on the train? Is this the kind of thing they’re using when they’re walking? These are very different kinds of things to think about. A lot of fitness applications where people wear the phone on their shoulder when they’re jogging or cycling, the buttons aren’t any different in size. The text isn’t any different in size, even though the distance between the person and the phone is different or they’re not trying to be as distracted. Those are huge things that we just completely leave out, that in the hardware world we see a lot of, because we draw out those whole scenes. Is the best interface no interface? 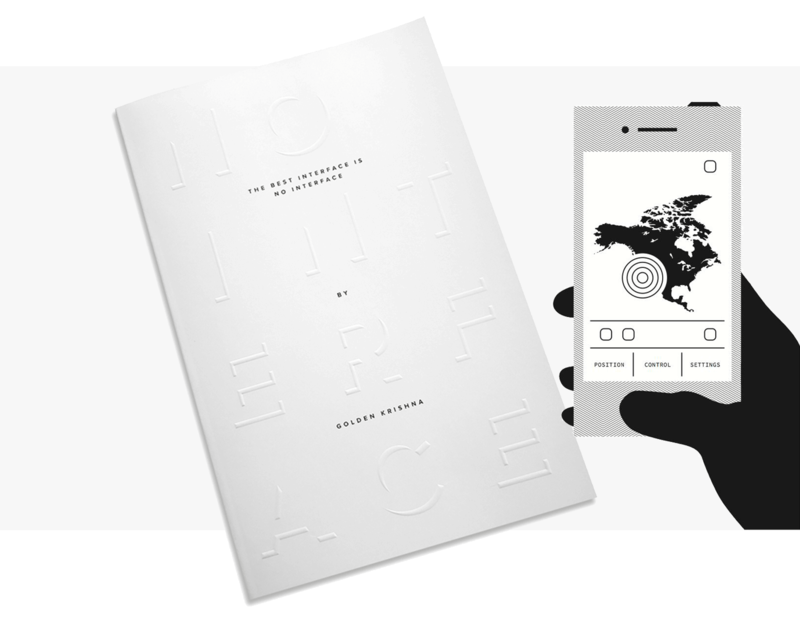 Adam: You mentioned this idea of designing from screen to screen and drawing rectangles, which leads me to a book that you published two years ago, The Best Interface Is No Interface. When it comes to embracing the core philosophy of the book, how are product makers doing today? Are we still trapped in this world of screen-based thinking? How’s the landscape changed? Golden: One of the things I talked about when I first started writing this book was looking back to other huge kinds of changes. In the late 1970’s, there was this piece in The Economist about how the office is filled with paper, and we need to dream and live in a paperless world. That was considered crazy at the time, and it was. During the 1980’s the amount of paper used in the American office actually went up. So here was The Economist saying, “We’re going to live in a paperless world.” And the very next decade, we use more and more paper. But in today’s environment, there’s actually less and less, and starting around 2008, people began using less and less paper in the American office. Maybe we’ll eventually end up with this paperless world. In a similar fashion, we are inundated with screens today. The average American adult spends a little more than eight and a half hours looking at a screen. Teenagers, who are mostly in school, spend about seven and a half hours a day looking at a screen, which is crazy. Even children under the age of eight spend about two hours a day in the United States looking at a screen. That’s a lot of screen time for a lot of people. It’s good portion of our waking hours. The book is really about how do we go from this screen-filled world, to a screen-less world? Just like that Economist piece took decades to even start to be realized, although the technology industry moves a little quicker than the paper industry, it will be a good number of years. When I wrote the book, it was really hard to find examples, but since the book has been released, the number of examples that I’ve been able to find has just rapidly increased. I love to think that’s because the book is out there, but I also know and feel that this is a movement that is going on beyond just the things that I’m saying. Adam: Speaking of examples, who is embracing this type of thinking well? Golden: When I first started talking about this, I gave the example of this car key – an app versus a piece of hardware. BMW had released this app for your cars; Tesla has this giant screen in the center console of their car. People were trying to make car experiences better with screens. They thought they could improve on locking your car doors by making an app. Think about the actual experience, that whole journey. When someone is walking out of a store or their house, and they want to unlock their car doors, they first take their phone out of their pocket. They unlock their phone in some manner, whether it’s slide unlock or pin code. They swipe through a sea of icons trying to find that BMW app. They tap to launch the app. Then, in the BMW app, there’s a menu they have to look through, and they have to understand that one option is a remote.They tap the remote tab. Then inside that remote tab, there’s a slider that slides between lock and unlock. That’s not easier than going up and using a key. Alternatively, before we got obsessed with apps, Mercedes Benz worked on a project where you walk up to your car doors, and when you pull the car door handle, a radio signal gets sent out. If your keys are in your pocket or in your purse, the car doors just unlock. That technology has been licensed to a number of other car manufacturers today. It followed the first principle of the book, which is to embrace typical processes instead of screens. Instead of taking people away from the typical process, bring them back in. I’m seeing a number of startups start to follow some of these models. There’s a startup called Lockitron, which has a door unlocking app you put over the deadbolt of your apartment or your house. In their 1.0, you had an app and you had to take all these steps just to unlock your front door. Never easier than a key. Maybe more convenient because you can rent it out to another person, you can lend unlocking your front door, but that’s a different problem. Image credit: Golden Krishna. Download his latest slide deck here. In their 2.0 they answered, “What if we just cut out all these steps with screens?” They put a simple solution in place: Put a Bluetooth radio in the door lock, turn on Bluetooth with their app, you walk up to your front door, and if you’re within a foot, the door unlocks. Those are really simple, straightforward examples, but some people have been employing data science to do things that I think are far more advanced. 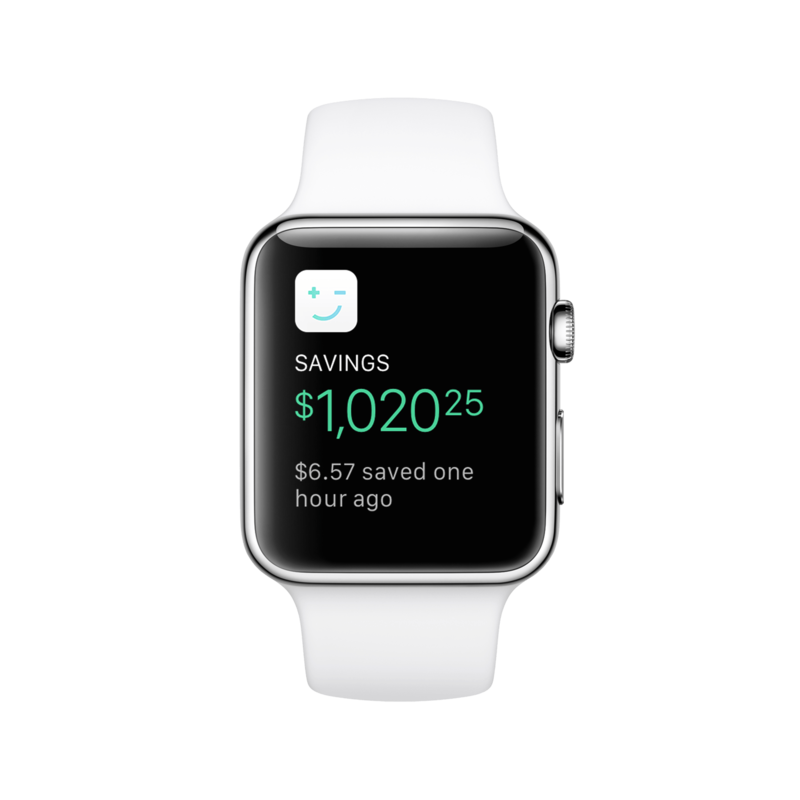 For example, there’s this startup called Digit, which tries to help people save money. A lot of people in the United States, in the Western world in general, are pretty horrible at saving money. I think the majority of Americans don’t have savings past two months, so if they were to get fired, they only have money for about two months to hit their bills. Digit is trying to solve this problem. This is far more advanced than keyless entry. We’re talking about financials, so you really can’t mess up here. When they plug into your checking account, they see the money that’s coming in and the money you’re spending on typical things. They look for little pockets, times in which they can move money from your checking account to your savings account. So when you spend a little bit less, they’re grabbing some money and moving it over. When they see opportunities to do a little bit more, be a little aggressive, they’ll do that. They’re behind the scenes moving some pennies over, and over time building up your savings account. That’s pretty neat. It’s a savings account that works without you ever having to interact with it. The financial examples are super fascinating because they show that this kind of thinking can be employed in higher risk situations, e.g. your money. 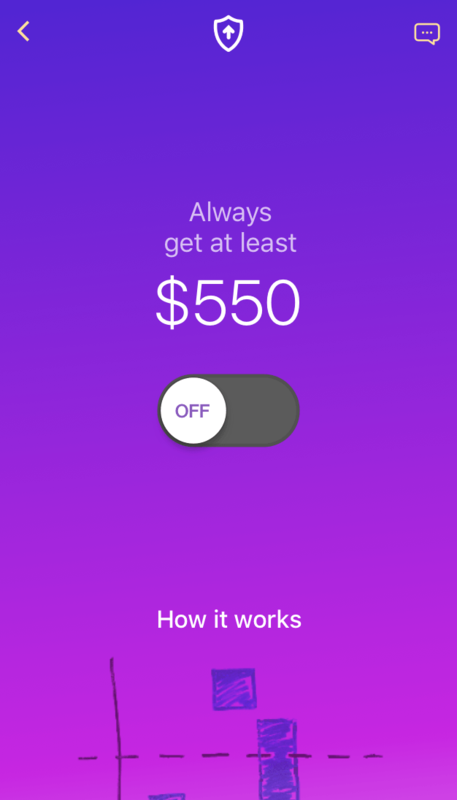 There’s another startup called Even, which looks at the problem for freelancers and people who are hourly paid, who have inconsistent paychecks. Every two weeks, these people don’t quite know what they’re going to earn. If you’re freelancing, maybe you got a big project and get a lot of money from it, then you might have a down period before you do your next project. It’s hard to know your financial future. Even looks at money that’s coming in, and instead of you getting inconsistent paychecks, they just average it out and then give you an even paycheck every two weeks. You know exactly what’s going to happen. If you make a little less, they make up some of the difference. And if you make a little bit more, they save that to give back to you later. What’s so fascinating about these kinds of startups is that they’re not about the number of taps and clicks. They’re trying to solve a problem in what I think the best case of design is, which is to solve it in the most simple and elegant way possible – in this screenless way. That is a very high bar to try to hit, but when you hit it, you get these really crazy, amazing solutions. Adam: One common thread I notice in all those examples is they’re early stage companies that are really shaping the core of how they solve problems, rather than larger companies that don’t have as much flexibility. Larger companies have well baked processes and their teams are already well constructed. For people that are only starting to approach the problem that their product solves, what can they put in place to help facilitate this thinking? Golden: When you’re a startup you have the ability to shape things that you don’t otherwise. A lot of big companies advertise these UX slash UI roles, and even designers talk about themselves in this way. They aren’t the same thing. When you’re a UI designer, you’re there to compose a great screen. And when you’re a UX designer, you’re there to understand and solve problems. And when you conflate the two, you make it so people try to solve problems with screens. This causes all sorts of problems within large companies, so it’s great for startups to not be able to repeat that. I was talking to a designer who is a couple decades older than me. He was talking to me about being a designer in the early 1980’s in technology. A lot of software at the time was command line, and they were shifting towards graphical user interfaces. It was a newer thing. It was first proposed at Xerox in the late 1970’s, but then really came into mainstream in the ’80s, especially when Apple launched their Lisa computer. He was talking about how hard it was to go to a company and say, “Hey, I’m going to be the guy who’s going to be drawing icons and choosing colors.” They’d never done that before, and it was crazy for them to think about actually hiring a designer. In fact, it took many years before having a designer in a technology company became more of a regular thing, and now it’s completely commonplace. As we make another shift, and we start going away from thinking just about screens and employing all the new kinds of tech that’s available, that’s just sitting on your smartphone and rather unused, you’re looking at new kinds of roles. You’re obviously talking about bringing in a data scientist into your team. You’re talking about potentially bringing in a mechanical engineer who understands how sensors work. In the unlocking example, I talked about simple Bluetooth radio, but there’s all sorts of sensors that exist on a phone, and you can do some fascinating things with them. Unfortunately a lot of data scientists today are relegated to these analytic roles, where they look at things post-production. They’re asking things like, how many people went to this page, or how many people spent this much time on a page, and looking for patterns after it’s already happened. When you’re in a startup environment, you can bring those people into the creation process, and that’s where you can get these incredible insights that no one else is doing. This is how you can beat the big guys. You can build a team that they can’t, and you can bring in people they didn’t think about when they made their product. One of the things Google did really well early on is when they launched Gmail, they rethought of the email experience at the time with the available technologies, and introduced conversations and whatnot. But all those products at these big companies were created a number of years ago with different kinds of constraints. If you’re a new startup trying to disrupt the space, you can build it with a new set of people who have different kinds of insights that others would have never thought about. There’s a real opportunity. Adam: One of the things that’s really emerged since the time when you wrote the book is voice UI. Do you see this as a better alternative to screens? What role do you see it playing? When you have an object you can talk to, you create this crazy expectation that it’s like another person. Golden: There’s a part of voice UI that I completely hate, and there’s a part of voice UI that I think is fascinating. The part that bothers me is that when we went from command line to graphical user interface, we went from guessing, e.g. I have no idea what to type in right now, to seeing a set of options, a set of icons you can tap and launch. When we get to voice UI, it’s just like command line. It feels like we’re taking a step back. You put an Alexa or Amazon Echo in your home – the naming of the products is part of the problem – and you don’t know what to say to it. What is it going to do? The other day I was listening to music on it, which is one of the few things I think you can use it for every day. I said to it, “I don’t want to hear this song any more.” I thought I was informing it that I don’t like this kind of music, but actually the only thing it does is skip the track. It actually doesn’t have any intelligence there. When you have an object you can talk to, you create this crazy expectation that it’s like another person. I think it’s at least five years before it can do a few more good things besides play music, just because there’s so much possibility of what someone could say. It can get some things better over time, but that expectation is so high. Perhaps part of that is because we watch science fiction movies where these computers can just do anything our voices say. Part of it is because we interact with other people, and when we interact with them we use our voice and we expect them to respond in a human kind of way. It’s a huge uphill battle for voice to be done correctly, and it’s not at a great place right now. But good things could happen. Adam: Ben Evans recently published a post about the S-curve and that similar to PCs before it, maybe innovation for phones is starting to flatten out. As someone that works on the forefront of that area, do you agree? What do you think will be the next thing to take off? It sounds like maybe voice isn’t there yet. Golden: I don’t know exactly, but I’ll say this, Ben is an incredibly smart person. The S-curve seems like a pretty real thing, although I don’t have any data to prove that it is. I think that my role, or the reason that I was hired, was not to follow that S-curve, but to draw a new one. That sounds crazy, to draw a new S-curve, but that really is the purpose of a role like mine. In a lot of ways smartphones are rectangles. They’ll get a little bit bigger, they’ll get a little bit thinner, maybe some of the borders will disappear. I don’t know exactly what people can do in hardware. I have some insights, but there’s always surprises. There’s some fundamental things that’ll probably stay somewhat consistent. Maybe we’ll be able to challenge them, and I will fail Google if I can’t come up with concepts that draw a new S-curve. Now maybe I draw a new S-curve and we don’t see it, because it’s not possible for a number of years, or maybe we see it in a few years. I am in a constant battle to try to figure out what that is. I pull in tons of research and try to do my best. I’m on a team, obviously it’s not just me who’s doing this, but maybe we can figure out that new S-curve, and I really hope we can. I would personally love part of that to be these screen-less experiences. Adam: To wrap up, where can listeners get more of your insights? Are you speaking anywhere any time soon? Golden: I don’t speak at too many conferences, but I have three coming up which is rare for me. I’m speaking in Quebec City at a web conference, WAQ. Then I’m speaking outside Detroit at an automotive conference, HMI. And at the end of May I’m speaking at UX London. To find out more about what’s going on and the kinds of things I’m talking about, you can go to nointerface.com or GoldenKrishna.com, or you can follow me on Twitter. If you just want to email me, you can at Golden.Krishna@gmail.com. After the book was released I got more than 800 emails, and I replied to all of them – although some of them about six months late. So hold on tight if you email me. My inbox is flooded, but it’s great to be able to connect with people and see their concerns and hear their feedback, because it just makes these ideas so much stronger. Adam: Thanks again for coming in today, Golden. This has been a lot of fun. Golden: Thank you so much for having me here.